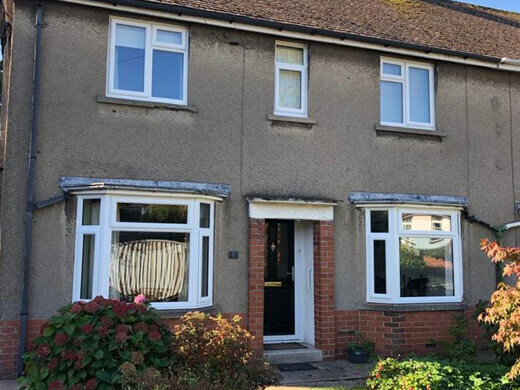 In order to construct a bay window, we use numerous casement windows which are connected together in an arc, to form the window’s distinctive shape. Thanks to this ingenious design, sunlight is able to flood into the room, and the owner gains a beautiful, panoramic view of their surroundings. 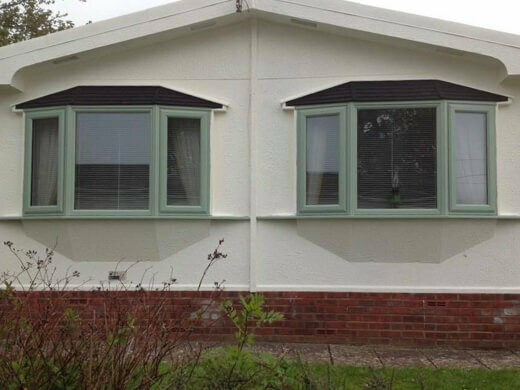 Our bay and bow windows available in a choice of UPVC or aluminium frames, which will be made in your bespoke choice of size, colour and configuration, to achieve the best results. While offering additional light and a feeling of space, our bay windows also add a stylish and beautiful feature point to any room within your home. 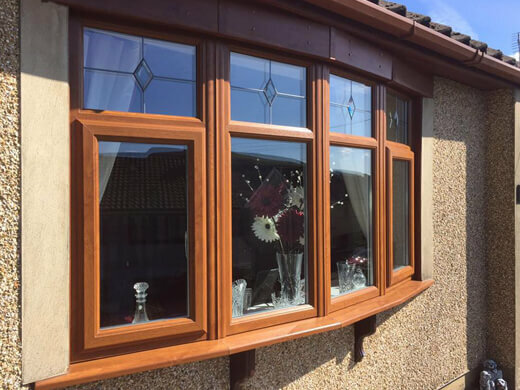 Why Choose Our Bay & Bow Windows? 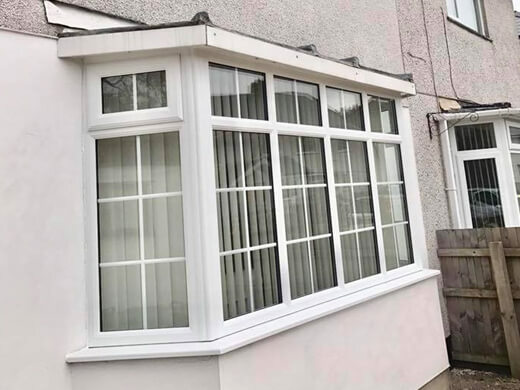 At South Wales Windows and Doors, we offer a comprehensive service that makes you feel at ease from the moment you enquire to the moment your new bay or bow window is installed. 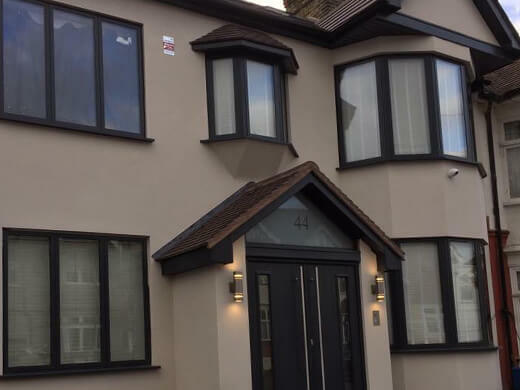 Here you can see a selection of our bay & bow windows from projects we have completed over the years. As you can see, bay & bow windows let in lots of natural light and allow you to see more of your home’s surroundings than other styles of window. We will visit you at home to share the advice we have gathered from years of experience, and tailor it to your specific circumstances. 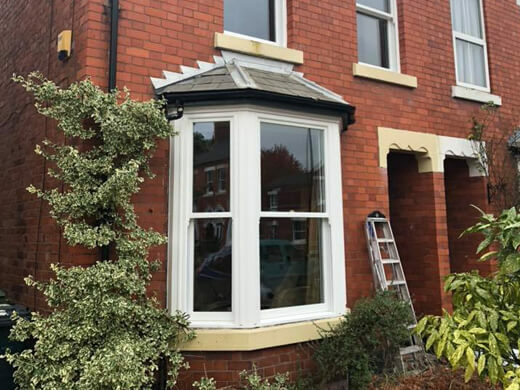 We will guide you through a choice of frame configurations, as well as taking you through our range of and glass and complimentary products to give your bay window the desired finish. We can provide added heat retention with our triple glazing, which provides an extra layer of warmth and reduces noise. Bay windows can help you to achieve significant cost and energy savings, which makes them a fantastic investment. Like all of our UPVC products, our bay windows & bow windows provide you with high-security so you can purchase them with confidence that they’ll make your home a safer place to live. We are very flexible when it comes to design, so your new bay or bow window can be designed to match any style you have in mind. Simply tell us about your project when you fill in our enquiry form and we will do our best to accommodate you. 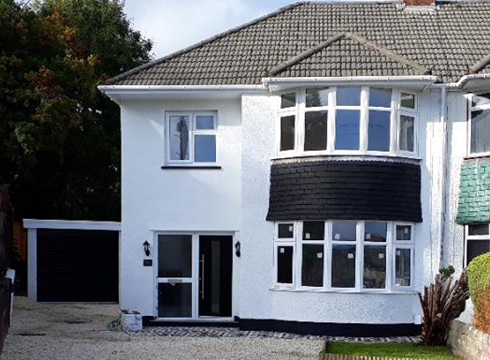 If you would like any further information regarding our bay & bow windows in the Cardiff and South Wales area, please fill in our online enquiry form or call us on 02920813488.